Hey everyone! So today, I have a new crochet pattern and video tutorial ready for you guys! 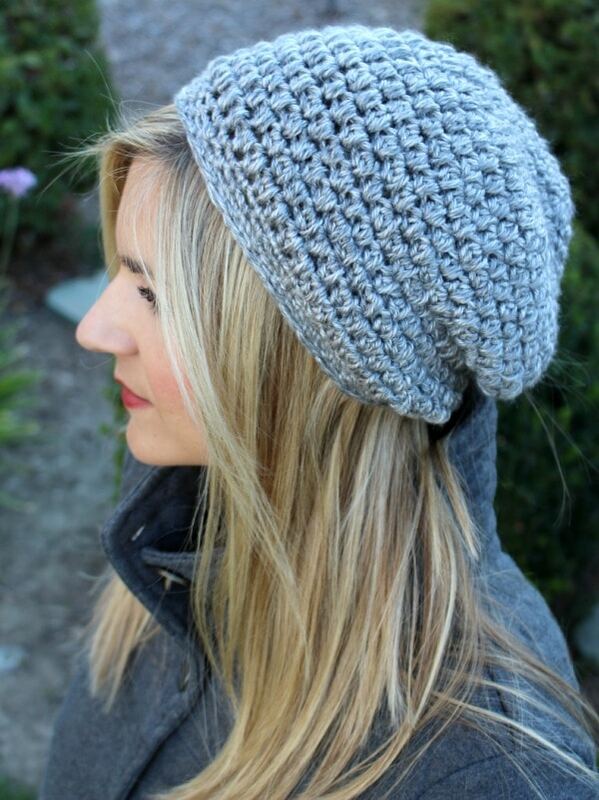 The Slightly Slouchy Crochet Hat! See below for the details on the pattern, materials used and the written instructions! I used 1 skein of the Lionbrand Heartland yarn in the color Mount Ranier and a size J hook. You can copy and paste or click HERE for a downloadable file. Follow along with these instructions as you watch the video tutorial. Check things off as you go and it will help you keep track. Begin with a slip knot. Leave a long enough tail for weaving in. Round 19: (sc 5, sc decrease and repeat) Ending with the sc 5 (36 stitches) Try on hat in order to make any adjustments. Round 20! : sc in each stitch all the way around. tie off. weave in ends. puff stitch: yarn over, insert hook, yarn over and pull through, yarn over, insert hook, yarn over and pull through, yarn over and draw through the 5 loops on the hook at once. Copyright: You have permission to use this pattern for personal use or sell items made from this pattern, but please link back to this post or the video tutorial to give proper credit. GAUGE: Make sure your hat has the same measurements as below. I have had some viewers have their hat turn out too small. Watch how tight you are crocheting and compare to these photos. I hope you enjoy this pattern! If you complete a hat, please tag me on Instagram, or share it on my Facebook page! 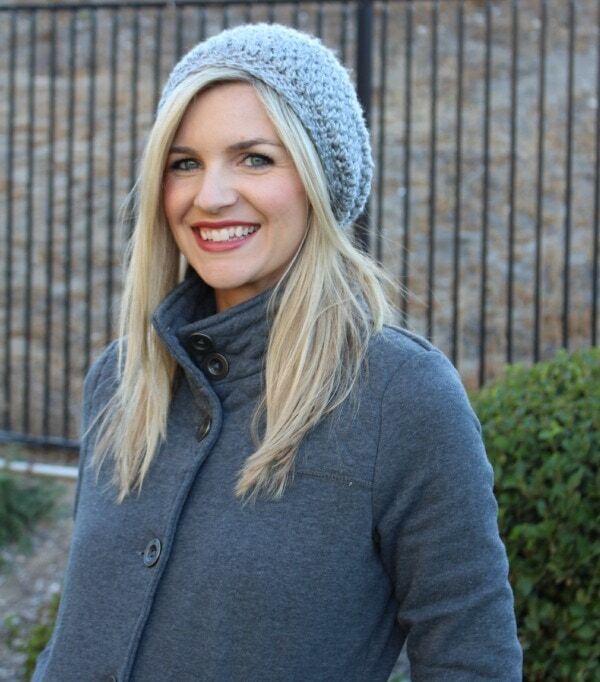 Melanie, thank you so much for this really cute and super easy to crochet hat! I am making my 3rd one now! I get compliments all the time of how cute it is and people love the puff stitch! I love it and am having lots of fun crocheting it!! Hi I want to make this for my son how do a size this for toddlers? 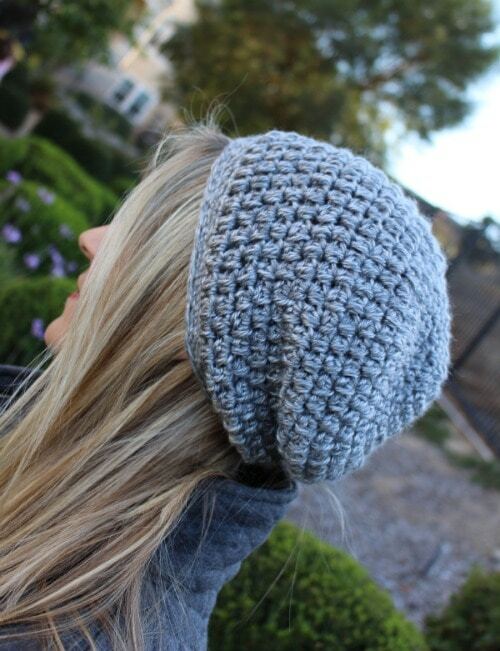 Hey Melanie first off I love your videos, if there is anything that I want to crochet I look to see if you have a tutorial because you make it super easy to follow…but I have a question on this hat if I want it longer where would I add extra rounds in the hdc’s or in the puff stitches? And again love love love your content?? I want to make this hat for a 10year old girl… How do I size this hat? I really like this tutorial. I am using a bigger sized yarn, same brand, but I am using the Home Town USA by lion brand, which is a bulky yarn. When I follow the instructions it comes out to be for a giant head. How can I scale the pattern to fit the larger yarn? I used a thinner yarn and a thicker needle because the other hats I tried to make I ended up having to make twice as many rows. So I followed the pattern and it’s huge. My hat is too small, I’m using the same hook size, same yarn brand, and weight. I can’t seem to crochet a hat in the right size (I’ve tried several patterns). 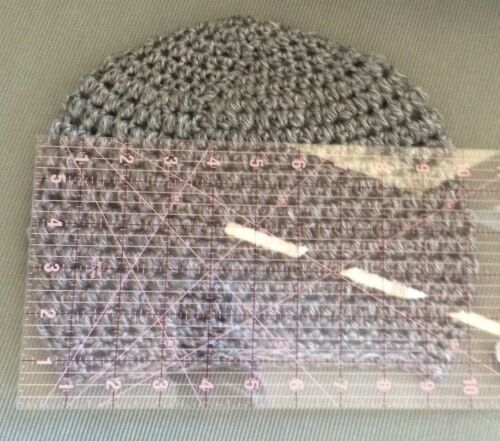 My tension is already loose too… Where can I add more stitches to enlarge the hat? I really want to make this work since the pattern is so cute! E MELANIE…FIRSTLY I LOVE UR VIDEO..U EXPLAIN IT VERY CLEARLY..BUT I DONT UNDERSTAND SOMETHING..I FOLLOW ALL IR INSTRUCTION,BUT WHY MY BEANIE BECOME SMALLER..CAN U GIVE ME SOME ADVICE..PLEASE…. Typically I love your videos and written tutorials, but this one is throwing me off. You say that the chain 2 doesn’t count as a hdc, but then when you say to stitch 12 which should result in 12 total hdc, what’s happening to the chain 2? Just seems off to me. Thank you for the written pattern. I love it. The pattern was so easy to follow, thank you for sharing it. I made 3 of these so far. I LOVE LOVE LOVE you tutorials they are so great I like to read so I prefer the written instrutions keep up the good work!!!!!!!!!!!!!!!!!!!!!!!!!!!!!!!!!!!!!!!!!!!!!!!!!!!!!!!!!!!!!! 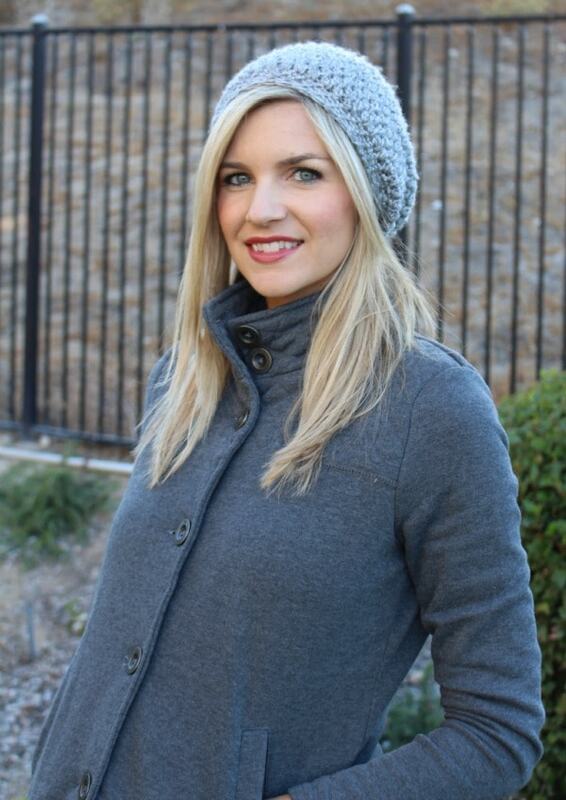 I love the slightly slouchy beanie. If I want to shrink it down to fit my kiddos, how would you recommend doing that? They are 4&7 years old. Thanks so much!!! OMG! You are the Crochet Guru I have been looking for! I love your videos and written instructions. They perfectly understandable. I’ll be coming to your for my crochet project ideas and how too issues. Thank you for the video, I successfully made my first hat thanks to you! This hat is a bit too small for me. Please advise at which point can I adjust the size? This hat is a bit too small for me. Please advise at which point can we adjust the size? This is my second project using your videos. First was the beanie love it, wore it all winter now just finished this slouchy hat. I didn’t have any difficulty following video especially since you also have written instruction as well. I ll have to post my pics on your site. Keep up the good work. I’m learning to crochet from you. 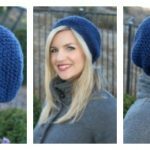 do you have a ravelry link for this pattern? This was so much fun. Thanks from Signal Mountain, TN! I really enjoyed your video. Made the slouched hat and had to change the band to fit my head. Getting lots of compliments. Made a second one using double crochet stitch instead of hdc, and it came out bigger and looks like a Bob Marley hat, and I love it!!! Anyway, do you have a good pattern for a sweater coat? (Knee length). Have been looking all over and haven’t seen one I like. This is my first time trying her pattern, Hope you can he,p me! Row 8: ch2(puff 9, 2puff and repeat). 1 puff in the lt stitch. I can get 45 stitches, ever 46. Did you have problems with this row! Great pattern and I love how it turned out, I made one for my sister and mother and myself of course. They loved their hats and so do I. AFTER THE FIRST EIGHT ROWS, I NOTICED MY HAT WAS FOLDING IN ON ITSELF, MAKING A CUP SHAPE AND NOT THE FLAT SPIRAL YOU DEMONSTRATED. I KEPT GOING ANYWAY, TO SEE IF THE HAT WOULD TURN OUT ALL RIGHT. NO GO. IT DOESN’T SLOUCH AT ALL AND LOOKS LIKE A POINTED BEANIE. ANY IDEA WHAT I DID WRONG? DO YOU THINK I MISCOUNTED? PULLED THE YARN TOO TIGHT? I’D LIKE TO TRY AGAIN, BUT MAYBE BEFORE I START A NEW HAT, YOU COULD OFFER SOME ADVICE. HAVE YOU SEEN THIS MISTAKE BEFORE? Its it probably your tension. You are most likely crocheting too tight. Try to be looser with your stitches, but not too loose of course! I have a 22″ head and did these adjustments. added one more puff increase row, three more round of puffs before the sc row. This was a GREAT tutorial. I am a extreme beginner but decided to attempt this. I have made one very small and simplified baby blanket and this was my second project and it was very easy to follow for me. I have A LOT of hair so I added 4 or 5 additional puff rows and the band around my head felt very tight at first but as you said it stretches and it fits perfectly now!! Great job and thank you! ! I really love this pattern because its not overly slouchy but still doesnt look like a weird newborn baby hat. I was hoping if someone could give me some advise on how to transform this adult sized hat to a hat for a 4 year old and a 1 year old. Just so you know i never made a hat before although i am familiar with the crochet stitches used in the video. Also ive got a size 5 bulky yarn since the video did mention that stitches will be different depending on the yarn. Really need an answer quickly cause ive got a deadline. My first project ever and it turned out great. I have a big head so I had to adjust a little but I’m happy. Thanks! I just finished my second hat following the pattern posted on your YouTube channel for the Caron simply soft yarn. This time, I started the hat using a magic circle and it turned out great. I did 12 HDC into the magic circle and then followed the pattern as written. No seams! Thanks for this pattern, I love how each hat turned out. Your video was a delight and instructions perfect. My hat also came out a little small and I am a small woman. I didn’t feel tension in my work even though I am a beginner and the stitches appear even and of medium tension. To correct, I only decreased the first row because after I did the second decrease, it was way too small. So I learned that to try as you go, is the key for me and adjust. How could I alter the pattern for a larger head for a man? Is there a formula? How could I make this more slouchy and not so egg shaped on the head? I put two stripes starting at my marked stitch and of course they end on the next row so in the back they do not meet. In this case, would I continue to slip stitch, chain starting the new color? I hope you understand these questions. I loved this project and it turned out great! PLEASE keep producing such clear videos. I would love to see the katness vest (fuller at the bottom for some of us). I use the pattern for Caron simply soft yarn found here: http://www.iheartstitching.com/free-slouchy-hat-pattern-with-caron-simply-soft-yarn/ the pattern is slightly different. The other thing that I did was start off with a magic circle and worked in the round throughout the entire pattern. That way there are no seams and the stitch count worked out better. I’ve heen trying to do this pattern & it hasn’t been going so well. I’m a fairly new crocheter so I’m not sure if it’s me or…but reading all the other posts I’m sure it is in fact me. My problem is that on roll 4 you have 2 hdc, hdc 2 & repeat. And it’s supposed to come out with 24 stitches at the end. But when I do 2 hdc in one stitch & 2 hdc in the next, repeating, I come out with more stitches. More like 36. What am I doing wrong?!! Hi Ladies! Maybe I can help. 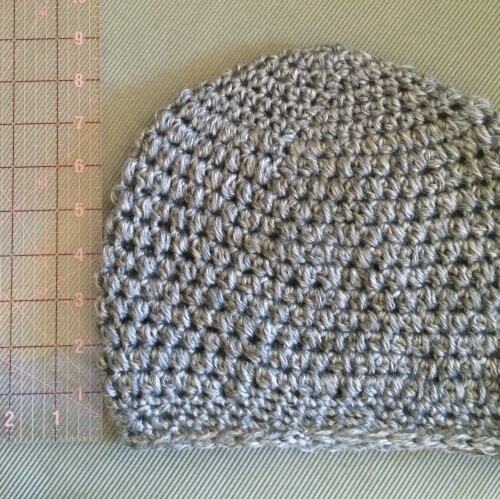 “2 hdc” means to put two hdc stitches into the same stitch (increasing the hat). “hdc 2” means that you put a single hdc stitch into the next two stitches. 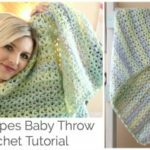 It is a subtle difference, but that is how crochet patterns are written. Like when you start a project, you often see somethink like “Ch 25”, which you probably know means to chain 25 links or stitches. Hdc 2 is the same thing. It just gets confusing, I think, because it immediately follows “2hdc”. An alternative way to do this row would be to think “double/single/single” all the way around. Double (two) hdc in one stitch, then a Single hdc, and another Single hdc. Then double (two hdc), then a single, then a single, etc. Hope that is helpful, and really hope I didn’t confuse you more. this is helpful!! Let me know if i am reading this correct. Heres what I am understanding is this: 2 hdc, hdc 2 & repeat which means go to second hdc and add 2 more hdc in the same stitch then do the same in the next one then single all around?? so 2 times that would make 4 plus 20 singles equal 24. Am i getting this right? it should be hdc 2 times in 1 stitch and in the next 2 stitches you want to put 1 hdc in each, so you should be doing hdc 2 times in one stitch and hdc 1 time in the next 2 stitches, repeat. Linda. It was too small for me as well. After round 9 I added another round of puff 10 and 2puff and then added 2 more rounds of single puffs in each stitch and it fit perfectly! Thanks, love it but it is way too small for an adult 🙁 Is it possible to tell how and where I would make it larger? Hi! Actually I had this problem the first time I made it. But what you have to do is adjust your tension, if you crochet too tight it becomes way too small. Love this hat! Thank you for all the tutorials! Love the way you explain things! You are such an inspiration! Excellent instructions. I made my first hat following your instructions!!!! Thank you! Love the way you explain things! I just made my first hat following this instructions!!! Question when counting the stitches so you count the slip knot? I keep ending up with one more in row 3 and 4. I keep taking it out and starting over but unless i skip then last hdc and just do a slip I end up with one extra. If you could please let me know what im doing wrong, id greatly appreciate it! Thanks so much for your videos, they are awesome! I was wondering what you thught of using the brand of yarn called Red Heart, the soft tough one for this beanie? Loved this pattern. While I am a beginner totally to crocheting hats (and had to watch a few videos for certain stitches, lol), I was able to make this hat twice :). The first did come out smaller than I would have liked, not enough slouch, but I gave that to my son :). It works because it was red, and he loves red. The second came out spectacular, so yay! Thanks for this pattern! Kassie, how did you modify your pattern so it would fit you? I love this hat. I made one for my self, a creeper hat and in the process of making a mouse hat with this design. The little girls who are getting these hats are so pleased. Re: round 10-16 unclear do you go back to the slip stich and chain 2 and continue puff stich? you said that you would have instruction for different yarns? I couldn’t find the instruction any where please help..
Continue the puff stitch, no slip stitching or chain two during those rows. Regarding your slouchy beanie, I am slightly confused in your pattern and even in your video. In round 3 where you have 2 hdc, 1 hdc repeat… Are you saying the pattern should be 2hdc, 1 hdc, 2hdc, 1 hdc repeat or 2hdc, 1hdc, 1hdc, repeat? You didn’t really specify this and in the video it appears you do this first route, however, you go too first. Please elaborate. I just found you for the first time today. I’ve been trying to crochet the “Katniss” inspired cowl in the Hunger Games movie. There are only two tutorials that I have been able to find and both are difficult to follow. They don’t show the sewing parts and move too fast. You look like a girl who could not only make this but look adorable wearing it! Is there anyway you could do a tutorial on this project! I would be sooo happy! Hi Melanie! I love this pattern! I wanted to make this hat for my 6 yr old do you have a pattern for a child sized hat? I just finished making one of these benies however i think i made a huge mistake i have all 20 rounds and ive even added a few. But my beanies is still mych to small i think. Its inky 6 inches high and 11 inches across before i start making it smaller. Dont know what i did wrong. I used the same tension all the way through. Help! I love all your work!! God bless you. 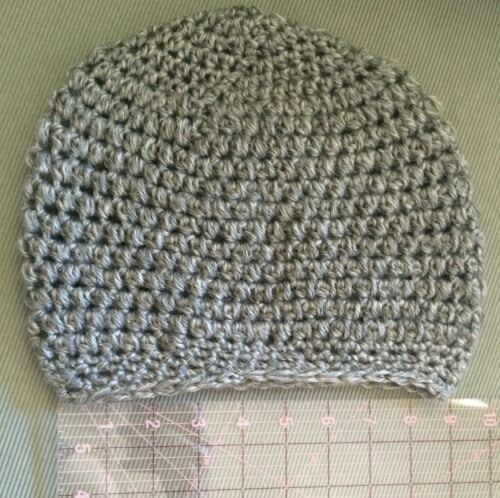 I will like to make this hat with a sport yarn number 3 (bernat baby soft). Do I have to make any changes in the pattern? And which hook should I use? I am working on this hat right now…. I am a little confused, when I go on round 3 I can’t get 24 stitches! I get way more! What am I doing wrong?? It says 2hdc, hdc 2…. What is this? Half double crochet in one whole, and then half double crochet… But what does the 2 after mean?? I actually tried to do 2 hdc, 2hdc… That is too many!! I don’t understand what the next step is, the only way for me to get the 24 stitches is by doing 2hdc and then 1 hdc…. I don’t want to keep going if my measurements will not be right. Help please… Thank you in advance! I figured it out! 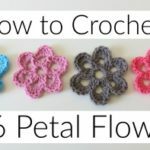 I am fairly new to crochet and sometimes I still don’t understand the terms! Thank you so much! It’s coming together beautifully! I would love to make this for my 4 yr old Granddaughter. Do you have a pattern for this hat for toddlers? I am making this for our October cancer victim donation. I hope to make several!! Thank you so much for the easy instructions!! Thank you for the lovely pattern. I just finished mine. I dont know what happened I don’t have to do decreasing on mine but it turned out really nice and perfectly fit on my head. Thank you so much! I will try next your scarves. I can’t wait for another pattern for hat. Please publish more. :-)) THANK YOU, THANK YOU, TAHNK YOU!! This is perfect! I’m just starting out and I wanted to make a beanie for my boyfriend and it just up to round 6 and he already loves it! Thank you! Thank you for the pattern, Melanie! I was looking for the next great hat to crochet and this will be it. I am SO excited to test out this pattern. Thanks to your beginner friendly beanie, I was able to complete my first crochet in the round project. I’ve made three of those beanies, and three of your 20 minute newborn hats. I am ready to tackle this project and even have a skein of the recommended yarn in my stash! 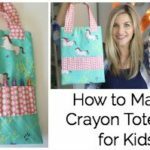 Do you have a tutorial or suggestions how to make this for a little girl. A girl age 7 or 8. Like the hat. Good tutorial. I finished the hat per your instructions…which were very clear and easy to understand..but the hat looked like it was for a small child…I ripped it out to the puff stitch round and did it over using a VERY loose tension and added 3 rounds …can not imagine that following the directions as written will produce a hat for an adult!